Millions Saved for Taxpayers. 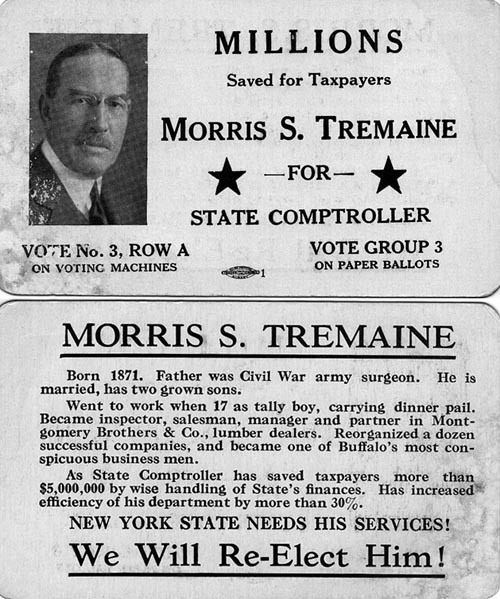 Morris S. Tremaine for State Comptroller. Vote No. 3, Row A. New York State Needs His Services. Are you looking for TREMAINE ancestors? If so, we suggest posting a query to our Community Message Board to get assistance from other researchers.